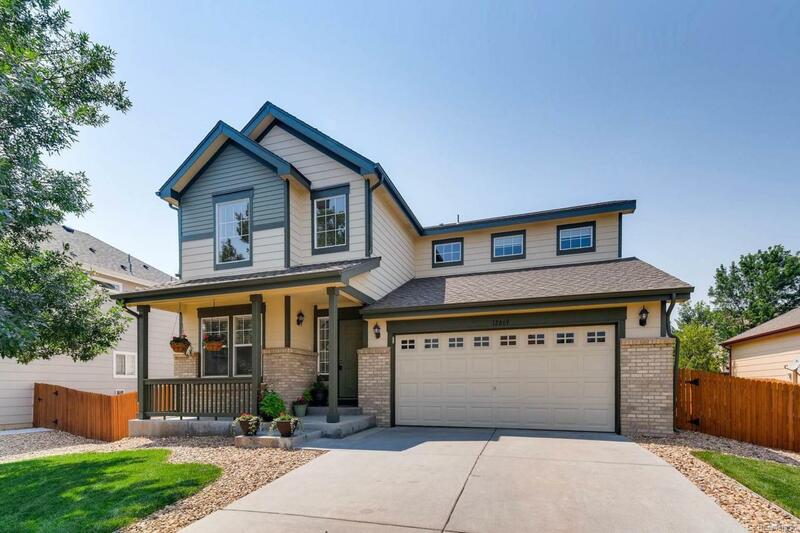 Stunning home in prestigious Sage Creek! This home is perfection at it's finest! Step into foyer with new gleaming wood floors & vaulted ceilings. Gorgeous totally remodeled kitchen has slab granite counter tops + custom movable island, walk-in pantry, top of line cabinets & new stainless applc's. Open family room has gas fireplace w/glass tile surround and is wired for surround sound. Upstairs you'll find the large vaulted master suite with walk-in closet & full bath with soaking tub & double sinks, two nice sized secondary bedrooms that share a full bath, and full size laundry room w/washer & dryer included. Enjoy the large flat backyard you can actually use! HUGE over sized 2 car garage, A/C, sprinkler system and security system. New roof being installed prior to closing! Located 2 houses from nice community park and very close to brand new Riverdale Middle and High School! Don't miss this one!